SecureVote is pioneering a new standard in digital voting and governance. We’re committed to transforming democracy and governance world wide. Our smartphone app and web platform is an interface into our our innovative blockchain agnostic scalability layer (BASL) governance system. SecureVote’s Copperfield algorithm provides a peer-to-peer, trustless secret ballot. Copperfield is immune to man in the middle attacks, and immediately identifies the presence of vote manipulation or attempts to expose voters. Scalability is one of the most significant challenges in the blockchain industry today. Thanks to our Blockchain Agnostic Scalability Layer (BASL), SecureVote is able to handle millions of votes a minute. Our blockchain technology allows for full transparency with an open, auditable codebase. Every vote within the system is verifiable by any stakeholder. Unlike traditional centralised voting systems, a decentralised blockchain based system means there is no single point of weakness and has an extremely low risk of being compromised. We are experts in creating voting and governance systems. With capabilities for many different types of ballots and voting methods, we can custom design a system specifically to meet your needs. 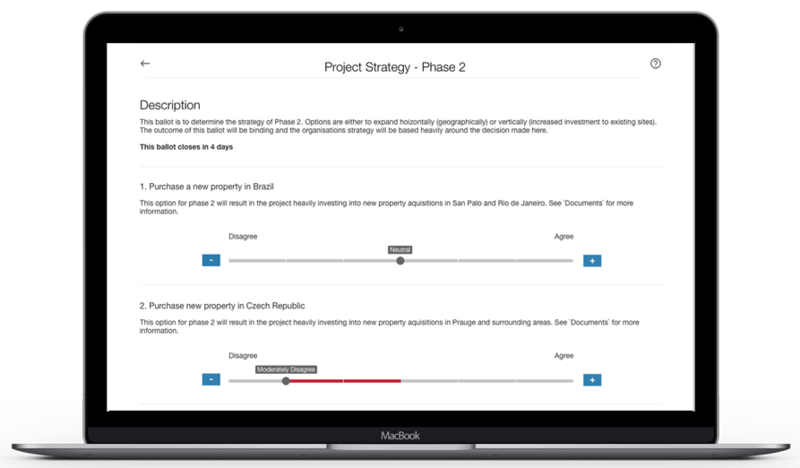 SecureVote can also be integrated right into your ecosystem’s own platform or app, creating a seamless user experience in a familiar environment. 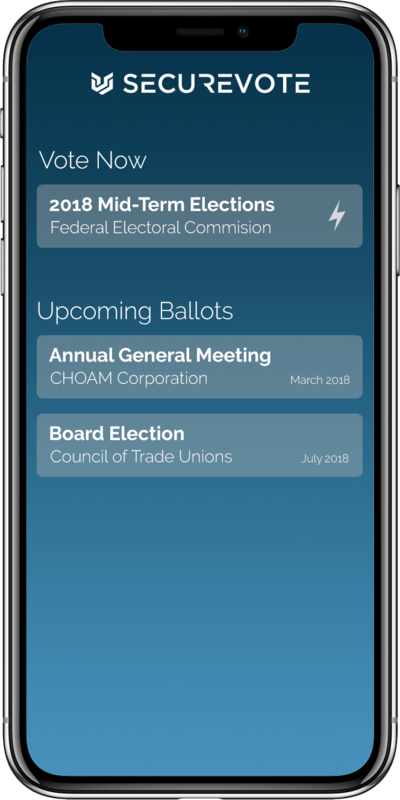 Our elegant mobile application for iOS and Android lets users access your ecosystem's governance simply and easily from wherever they are in the world, so they’ll never miss a vote. SecureVote technology has immediate application in business and government, as well as unions and political parties . We partner with operators of cryptocurrency tokens and coins in order to build custom governance systems. © 2018 All Rights Reserved Exo One Pty Ltd.